After talking on the X018 live stream about the ongoing effort to improve Windows Store and tailor it towards gamers, Phil Spencer, Executive VP of Gaming at Microsoft, had the usual round of interviews with the local Mexican press. LevelUp posted a rather long video interview with him on YouTube. Among various talking points, Spencer highlighted that while Game Pass is a focus for Microsoft and there are ‘millions’ of subscribers, it’s ultimately just another option to get a game in addition to the traditional purchase, which won’t be replaced. No, I think it’s about choice for gamers. We are seeing incredible growth with Game Pass, we have millions of subscribers today. But also, every game that is in Game Pass, you can buy that game. I love the idea that if you want to go build your library of games through purchasing games, that’s a great thing and it’s incredibly healthy and growing right now, game sales. If you want to go build your library through the monthly subscription, I think that’s also a great way and I love the fact that as a gamer you have that choice on our platform. The thing that I love though, about what’s happening in Game Pass, is that people in Game Pass are playing more games than they did before they were Game Pass subscribers. They’re playing genres of games that they didn’t play before, because it’s easy to try them out. Games that go into Game Pass are seeing huge uplift in the number of players that are playing those games. So you get gamers playing more diverse kinds of games. That’s so healthy for us, for the industry. When one genre or one type of game becomes what everybody is doing, that’s not the most healthy thing for creativity. In the interview, Spencer then touched upon the upcoming cloud streaming based Project xCloud. He admitted that it will be a long time before it can hit the mass market, and even longer before it becomes the best way to play a game if that can even happen. No. There are certain scenarios where streaming a game is the best answer. On a console, the best scenario for you is to download that game and play. If you are on a PC that’s capable of downloading and playing that game, download and play that game. Not all devices are capable of playing the most great fidelity games that we see here on the show, so streaming is an option in those scenarios, and there are some scenarios of like instant start and trials where maybe streaming on a device could be interesting, but I think for years and years the best way to play a game on a console will be to download that game and play it. The same thing on PC. I think streaming is something that’s further out in terms of it becoming a really mass market where everybody is doing it, and even way further out before it’s the best way to play that game, if it ever is. I just think it’s about giving you a choice as a player, not about replacing what you do today. This echoes what his colleague Kareem Choudry said last month. 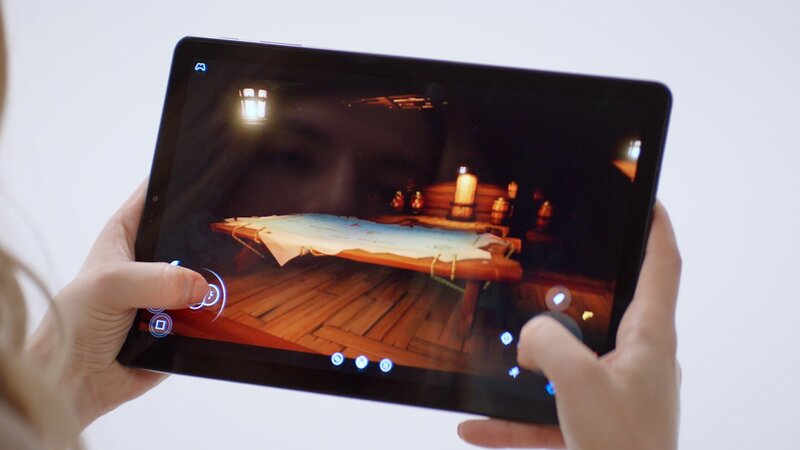 It seems like Microsoft is really playing the long game with Project xCloud, then, by trying to establish a foothold before the competition (mostly Amazon and Google at this point).